One of the things we have to worry about when traveling nowadays is the size of our carryon bag. Many airlines offer 1 free personal item and 1 free carryon bag included with the price of the flight, but with one caveat: the carryon bag needs to be within certain dimensions. Some airlines are stricter than others when it comes to these guidelines, but the quandary it poses to passengers remains the same: how much crap can I fit into my carryon bag? It all comes down to not having to worry about as much when you go to the airport, which in itself can be a pretty stressful process. If you’ve decided to join the rest of the gang and ditch your checked bag, then you’re here looking for answers. There are many different methods on how to fit more things into a smaller space, and we’re here to discuss three methods in particular – packing cubes, the rolling method, and compression bags. Read on to find out which of these methods works best, according to our experts. How it works: packing cubes are a popular way to organize the contents within your luggage. 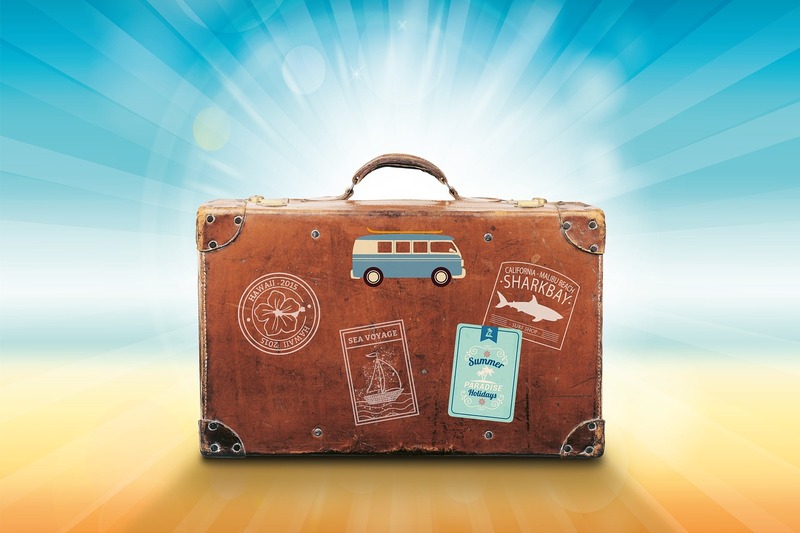 Gone are the days when you’d throw clothing and toiletries in willy-nilly, and here are the days when you plan, strategize, and put some TLC into the way you pack your bags, what you put where, and how you repack it at the end of the day. 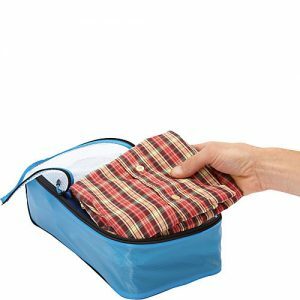 You can buy packing cubes online for pretty cheap and in a variety of sizes and colors to suit your tastes. These are essentially smaller bags within your suitcase that help you stay organized throughout tyour trip. There are different approaches to how you use packing cubes. Some people sort each cub based on type, opting to fill one cube with toiletries, one with sleepwear, one with shirts, etc. Yet others choose to use one cube per outfit, allowing them to pull out a cube a day and fill with their dirty laundry as they go. How it works: also called ranger rolling, this method is beloved by many of us who suffer from wanderlust and seek ways to minimize the things we carry. (If you’re into this method, you should also check out the KonMarie folding method from Marie Kondo.) The principle is basic – instead of folding your clothes and stacking them on top of each other as you normally would, you fold and then roll your clothes up to make a little burrito of sorts. By doing this, you free up tons of space in your bag. Instead of fitting 5 shirts, you can fit a dozen or more in the same amount of space. Some people suggest that rolling will help to prevent wrinkles, whereas others say it actually causes them. All in all, it depends on how careful you are when you roll your clothes and pack them. How it works: these handy compression bags don’t require a vacuum. Simply fill them with clothes and roll them up to remove all the air and save space in your luggage. Instead of packing a few outfits, you can easily pack dozens of outfits when using compression bags. These are particularly useful when packing a heavier, more bulky item such as a jacket or blanket. Our main issue with compression bags is that they’re great for when you’re packing up to head out on vacation, but coming back is another story. These bags are mainly good for clothing and soft goods, not for souvenirs, toiletries, or other items. It can also be cumbersome to have to roll and unroll your compression bags every time you want to take something out of it, especially if you’re living out of your suitcase and don’t have a dresser available. We’ve also heard complaints from some travelers that the compression bags aren’t always air tight, puffing back up again over time. Honestly, we are partial to the good ol’ ranger rolling method. That being said, however, we like to use a combination of the rolling method and packing cubes, opting to roll items and then place them into the cubes in order to further organize our luggage. This allows for both space savings and organization, the best of both worlds. The next time you’re getting ready for a long getaway vacation, make sure to think ahead about how (and what) you’re going to pack with you. And happy travels!